PROVIDING WORKERS COMPENSATION INSURANCE FOR OVER 35 YEARS. 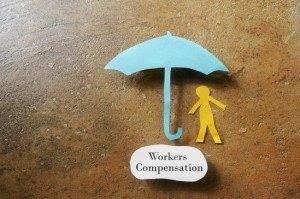 Get a free Workers compensation insurance quote today! No matter the type of business you’re running, your employees are the most essential part of your company. They work hard in order to make sure that your company is running smoothly, with some of them even putting their well-being on the line in order to make that possible. Because of that, it’s very important that your employees are aware of the fact that they’re protected in case they injure themselves while doing their job. The Clausen Agency, Inc is proud to offer one of the best workers compensation insurance for New York employees in the country. By getting this type of protection for your employees, they’ll understand that you truly care about their well being and are going to become even more loyal to your company and more productive. By contacting The Clausen Agency, Inc., you’ll be immediately assigned an agent who is going to walk you through the process of finding the right policy for your workers compensation. In the unfortunate event an employee dies on the job, his family will receive death benefits. Rehabilitation costs for staffs that require it. Lost wages or income for injured employees who are unable to work. Medical expenses for injured employees. By getting this type of coverage, you’ll make the N.Y. workers compensation insurance a benefit to your business. Accidents will happen sooner or later but with the right policy, your employees are going to be fully protected by The Clausen Agency, Inc.
Our agents are devoted to helping you find the right policy at the right price, so do not hesitate to call us today and let our agents answer all your questions regarding workers compensation in New York. You’ll be glad you did.